November storms hit with strength and massive amounts of snow. In early November we started to see the snow line creep down the local mountains, and our committed snow check team has been doing regular checks tracking each storm since then. See the snow pile up each week for yourself! With all the pre-season hype about the La Nina weather patterns you’re probably wondering what is happening in Kaslo, BC… Well here in the Stellar Helskiing tenure we have above average amounts of snow for this time of year. In seasons past we would typically see under 100 cm at this time, but not this year! The last storm brought 65-85 cm of fresh in only a few days, making it challenging for our snow check travel (see video from November 26th above). During early season recon we have been sticking to the close by Milford zone, with great tree skiing and lots of aspects to choose from. Yes, the North and East tree runs were deep. 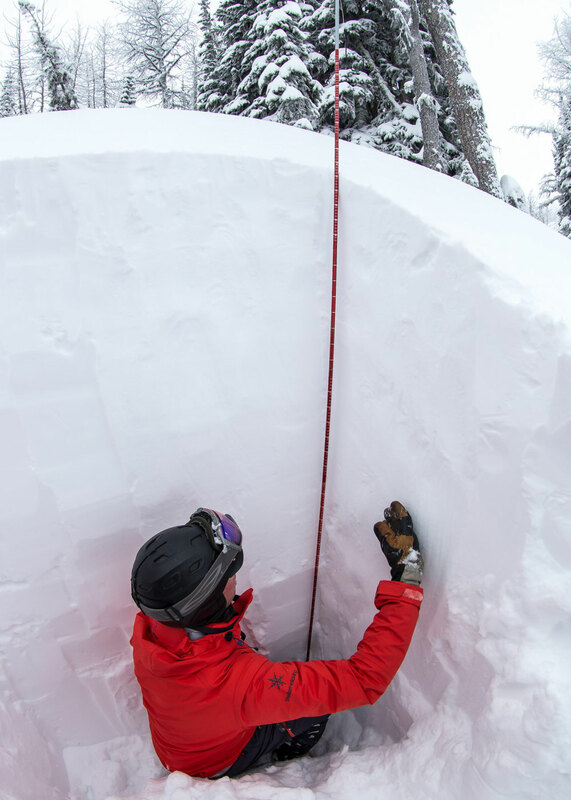 At the tops of ‘Sunnyside’ and ‘South Drop’ we’re seeing snowpack totals of 180-220 cm. Kaslo Hotel, 430 Front St.
© 2019 Copyright Stellar Heli Skiing.